Cross-posted on ZioNation and MidEastWeb. Ami was the guy who set up MidEast Web in 2000 and Zionism and Israel Information Center in 2005, and their associated Yahoo news and discussion groups, and Joe has been a co-moderator for most of this time. The goal of MidEast Web was to bring Jews and Arabs together and to work on mutual understanding; the goal of Zionism and Israel Info Center was to defend the legitimacy of Israel and Zionism. Both men were born in the United States and made aliyah, Ami in the 1960s and Joe in the 1980s. Both were firm believers in Israel and in the quest for peace in the Middle East, and came to pursue their dreams and to help make the country a better place. Ami started out working on a kibbutz in the late 1960s to bring his socialist ideas into practice, but after a while became frustrated with the lack of intellectual challenge; after a day's hard work in the fields, his fellow kibbutzniks were not inclined to engage in discussions on socialist and Zionist ideals and the state of the world. So Ami went on to study psychology and achieved a doctorate, met his wife and started a family. 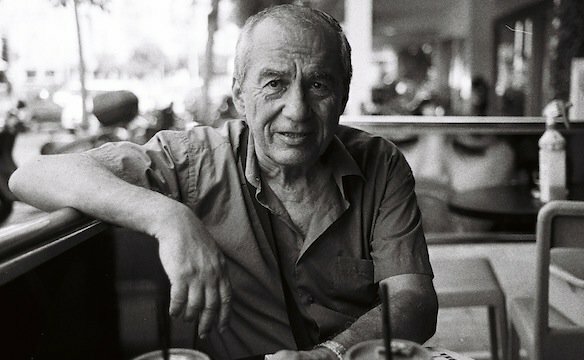 He eventually got a job at the Weizmann Institute in Rehovot as a very skilled computer programmer, and a nighttime career as an internet activist and a very illuminating thinker and productive writer on the web, inspiring many with his views on the Arab-Israeli conflict. Joe already had a career behind him as an established journalist and publisher of the award-winning Washington-based newspaper The Jewish Week, when, as a widower with three children, he came to Israel in 1983, realizing a long-held dream. Then Joe's son Marcus, who had made aliyah before him, was killed in an ambush by Hezbollah in Lebanon in 1985. Despite this, in a memorial ceremony in 1986 Joe expressed his and others' commitment to Israel: "Jewish history is being made today, here in Israel. Our loved ones played their role in it; we can give it further meaning." Joe himself survived an Islamic Jihad suicide bombing in Tel Aviv in 1996. In the 1990s, during the Oslo peace process, Ami became involved in Jewish-Arab dialog and peace activities. In 1998 he started the PEACE group together with Jordanian Ameen Hannoun, and soon they recruited dozens of participants. Next to dialogue meetings, they started several projects on the rapidly expanding worldwide web, like the Peace Dialogue site and the PeaceWatch column; the latter was hosted on fellow peace activist Robert Rosenberg's Ariga website and was maintained by Ami until 2007. In August 2000, initiator Yehoshua Zamir, Hope Flowers school founder Hussein Issa, Ami and many others launched MidEast Web for Coexistence, "an NGO for advancing education for coexistence and dialogue in the Middle East". Ami as webmaster filled the website almost singlehandedly with an impressive number of background articles, documents and insightful analyses about the Israeli-Arab conflict. His remarkable intellect, productivity and passion are evident throughout these pages. In December 2000 they started the MEW Dialog Yahoo group, followed in January 2001 by the MEW News group and in October 2002 by the MEW Background group. In December 2002 they added the Middle East Web Log on MidEast Web. By then, Joseph Hochstein had joined the website and e-mail groups, bringing his knowledge, thoughtfulness and many years of experience as a publisher and editor to MidEast Web, mostly providing quiet advice in the background, pointing out important facts and viewpoints and setting straight historical errors. When the hope for a solution to the conflict dwindled during the second intifada, many lost their faith in the MidEast Web project and drifted away. Ami, Joe and a handful of others remained active, but Ami recognized the dangers of the increasing international campaigns to delegitimize Israel and Zionism. In 2005, after helping to set up Zionism on the Web, he started another major website, Zionism and Israel Information Center, and new affiliated Yahoo groups to defend Zionism and Israel against these vicious attacks. He recruited us and later Joe Hochstein to aid in this effort. On "ZIIC" Ami repeated his amazing MidEast Web work and wrote article after article about all aspects of Zionism and its history and meaning, making it one of the best and comprehensive websites on the subject. He started the ZioNation blog to provide his comments and invited others to join, and offered Ratna a separate blog in Dutch. Although their characters were quite different, Joe and Ami highly respected each other's work and benefited from each other's knowledge and insights. They co-authored the blog Israel Like This As If for some years, where especially Joe placed stories about his everyday experiences living in Tel Aviv. What was very special about both Ami and Joe is that they combined their Zionism and love for Israel with a progressive viewpoint and the quest for peace and understanding of the other side. Unlike many peace activists they, especially Ami, were staunch defenders of Israel and its right to exist and defend itself, but unlike many pro-Israel activists they never lost the will and hope to reach peace with the Palestinians and Arabs. Both men came from the political left and remained faithful to these basic views, Joe also being active for the Tel Aviv chapter of Meretz. They also shared an eagerness to unravel the facts behind media reports and claims from both sides in the conflict. The truth was the basis for all positions, even if inconvenient for Israel, like what happened in Deir Yassin, which got Ami a lot of angry responses from other Zionists. They were not blind to Israel's own faults, but neither to the many faults of the Palestinian leadership, which was ultimately unwilling to really compromise for peace. As for us personally, Joe and Ami were our first friends in Israel, and we visited them every time we were there in the last six years. MidEast Web, Zionism Israel Info Center and their news and discussion groups were what got us involved with the country and the conflict. They taught us much of what we know about Israel and the conflict. As educated men they were interested in and well informed of a wide variety of subjects, from history to culture, from philosophy to nature. There was always plenty to talk about and to learn from them, and to enjoy. We remember Ami also for his humor, his and his wife Ruth's hospitality, and Joe for the dinners at his place or sharing a good falafel in the streets of Tel Aviv. We will sorely miss them both, personally and as political allies and guides. Israel won't be the same without these friends. We express our sympathy with the families of both Joe and Ami for their very great loss. Ami reached the age of 65, and leaves behind a wife and three children. Joe reached the age of 77, and leaves behind two children and eight grandchildren. The Hamas reaction to the death of Osama bin Laden almost says it all. Hamas condemned the US action and extolled this monster as a "holy warrior." This is actually a surprise since Hamas has not advocated global jihad and it has violently suppressed al Qaeda-linked groups in Gaza. Although it has some potential to be for the good, I fear that this reconciliation agreement is not a step forward. On the bright side, it permits the possibility for Hamas to indirectly endorse a two-state solution with Israel, by acknowledging that the PLO remains authorized to negotiate on behalf of the Palestinian people (a holdover provision of the Oslo Accords) and implies that Hamas would not oppose peace with Israel if such an agreement were ratified in a referendum. But if Hamas continues to insist that all Palestinian exiles in their diaspora—or at least those designated as refugees—should vote in this referendum (not just Palestinians in the territories), any peace agreement would be that much harder to sell; this is because such an agreement would of necessity affirm a right to compensation but not a wholesale right of return to what is now Israel. Moreover, one has to trust Hamas to be true to its word (a tall order), and for Hamas and Fatah to coexist peacefully—as they have not in the past. The issue all of us should address is whether Hamas will ever deal diplomatically and non-violently with Israel. If the Israeli government were wiser than it is, it would pose exactly this in response to the Fatah-Hamas agreement, rather than rejecting it outright. The prevailing international view is that Israel refuses to recognize and negotiate with Hamas, but the opposite is also true. My thoughts return to the unfortunate results of the Palestinian election in January 2006. After Israel withdrew its soldiers and its 8,000 settlers from Gaza in the summer of 2005, the Bush administration decided to bring “democracy” to the Palestinians. It insisted on running a parliamentary election and allowing Hamas to participate. None other than Yossi Beilin, a principle negotiator of Oslo, has pointed out that Hamas was not legally qualified to run without meeting the requirements of the Oslo agreements still in effect from the 1990s: primarily to renounce violence and accept Israel’s existence. Qualifying for elections in this way might have been a lever to get Hamas to change its spots, but the Bush State Department insisted on allowing Hamas to run as it was, cynically assuming that it would not win. Hamas won a plurality of votes with 44 percent to Fatah’s 42 percent and took power early in 2006. Hamas earned a golden opportunity to prove itself a responsible party that could advance legitimate Palestinian aspirations for independence and prosperity, yet it failed abysmally. Soon after its election, Hamas declared a truce, but it was still allowing other factions to fire at Israel. Hamas even lauded as “resistance” two successful suicide bombings—one in Tel Aviv and another in Ashdod. A coalition of groups, including Hamas, captured Gilad Shalit while killing two other Israeli soldiers in a cross-border raid in June of 2006. As we know, things only went downhill from there. So there's plenty of reason to be skeptical of this agreement, but the Netanyahu government's entirely predictable response also gives rise to skepticism. Netanyahu's statement to the Palestinian Authority that it's either peace with Israel or peace with Hamas, but that it can't have both, is a perfect excuse and dodge for not negotiating with the Palestinians. Israel can only lose in thereby attempting to maintain a status quo that is increasingly untenable. The PA's apparent embrace of Hamas reflects its loss of faith in the possibility of negotiating a reasonable deal with Israel under its current leadership. This also fits hand in glove with the Palestinian threat to go to the United Nations General Assembly in September for international recognition of a Palestinian state. The only way for Israel to head off this strategy is to return to the kind of deal that Olmert attempted with Abbas back in 2008, a negotiating process that was aborted by Olmert's legal difficulties and the Gaza war of Dec. '08-Jan. '09. But we can't expect Netanyahu to do that. According to Amnesty Iran leads the way in the "worrying upsurge" in the number of executions in the Middle East and Asia,.The United Nations last week voted to appoint a special human rights envoy to monitor the situation in Iran. Amnesty International said Iran carried out 252 executions in 2010, compared with 18 in Libya. "Iran, Libya and Yemen experienced a worrying upsurge in executions … and there are fears of mass executions in Libya as the (current) conflict there deepens," the watchdog group added. UNITED NATIONS, March 24 (UPI) -- The U.N. human rights council voted Thursday to appoint a special investigator to monitor the human rights situation in Iran amid sweeping condemnation. The European Union announced Monday it would "swiftly" introduce new measures targeting Iranian officials charged with human rights violations. EU ministers expressed "deep concern" over the repression of the Iranian people and took note of the "dramatic increase" in the number of executions and "torture" in the country. The human rights council backed the European resolution to "appoint a special rapporteur on the situation of human rights in the Islamic republic of Iran." The United Nations called on Iran to cooperate fully with the council and give the envoy access to the country to report on the human rights condition in Iran. U.S. Ambassador Eileen Donahoe in a statement said Washington was "gravely concerned" about deteriorating human rights conditions in Iran. "Since the latest report on the human rights situation in Iran to the General Assembly in Sept. 2010, the situation had worsened and the report documented imputation, flogging and acts of torture carried out by the government of the Islamic republic of Iran and death sentences of men and women by stoning," she said. role at the human rights council while at the same time supporting the Israeli occupation of the Palestinian territories. "The government of Iran had worked wholeheartedly to ensure the human rights of its people," he added. The council backed the measure in a 22-to-7 vote with 14 abstentions.